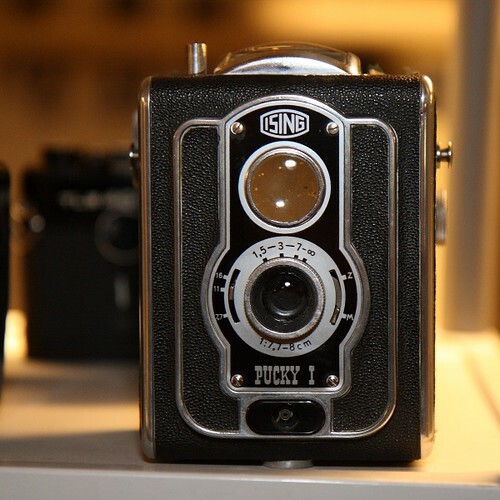 The German manufacturer Eugen Ising in Bergneustadt (North-Rhine-Westphalia, Germany) manufactured basic cameras as well as tripods and tripod-heads in the late 1940s and early 1950s. Puck, 3×4 telescopic with Steinheil München Cassar 2,9/50mm in Compur-Rapid B 1-/500 sec. This page was last edited on 28 August 2016, at 07:47.